There remains an all-too-common misconception in Austin that the Downtown district is where all of city’s musical treasures make their home. Enter MapJam, an annual music festival put on by the folks over at KUTX 98.9, Austin’s NPR music affiliate station. The free, all-ages, walk-and-bike friendly festival puts the spotlight on some of East Austin’s outdoor music venues like Pan Am Park and the Historic Scoot Inn. 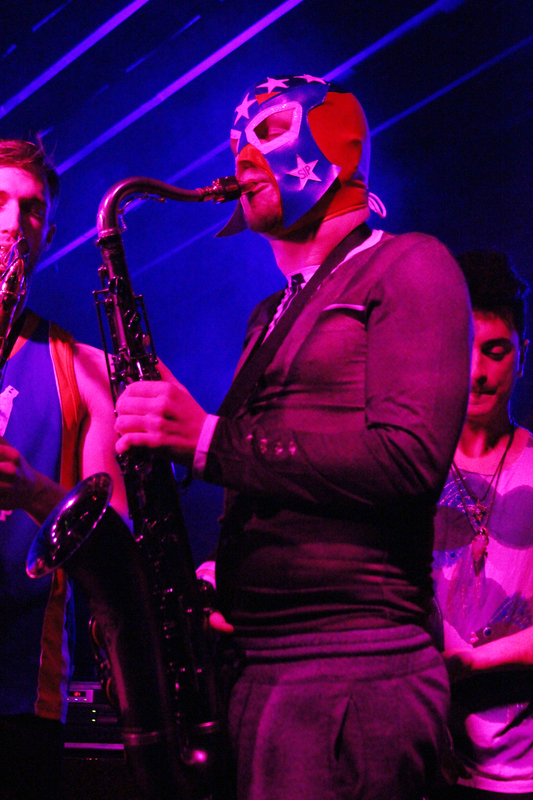 The venues hosted homegrown musical talent including SIP SIP and The Golden Dawn Arkestra. This past weekend marked the festival’s third year. The ORANGE Music staff captured the festivities. Walker Lukens at the French Legation Museum. The French Legation Museum was packed for Ruby Jane and Walker Lukens' sets. Little girls dance along to the live music at the French Legation Museum. Joel Laviolette displays an authentic African instrument that he performs with at the Oswaldo A. B. Cantu Pan American Recreation Center. A festival goers dances to Joel Laviolette & Rattletree Marimba's music. 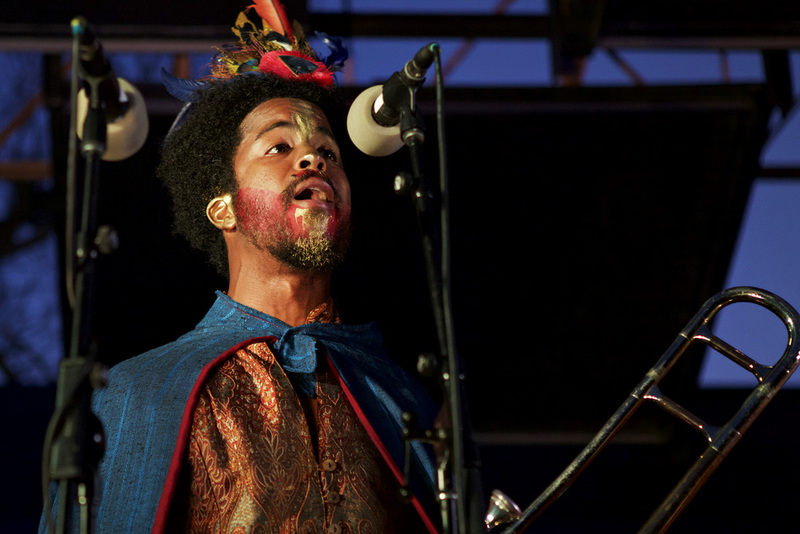 The Golden Dawn Arkestra performs at Pan Am Park during MapJam. SIP SIP performs at The Historic Scoot Inn during MapJam. A woman dances along to the Clandestino All-Stars' set at the Emma S. Barrientos Mexican American Cultural Center. The Mexican American Cultural Center was the first venue of the fest. Peligrosa performs at The Historic Scoot Inn during MapJam.